Explanation: This telescopic close-up shows off the otherwise faint emission nebula IC 410 in striking false-colours. 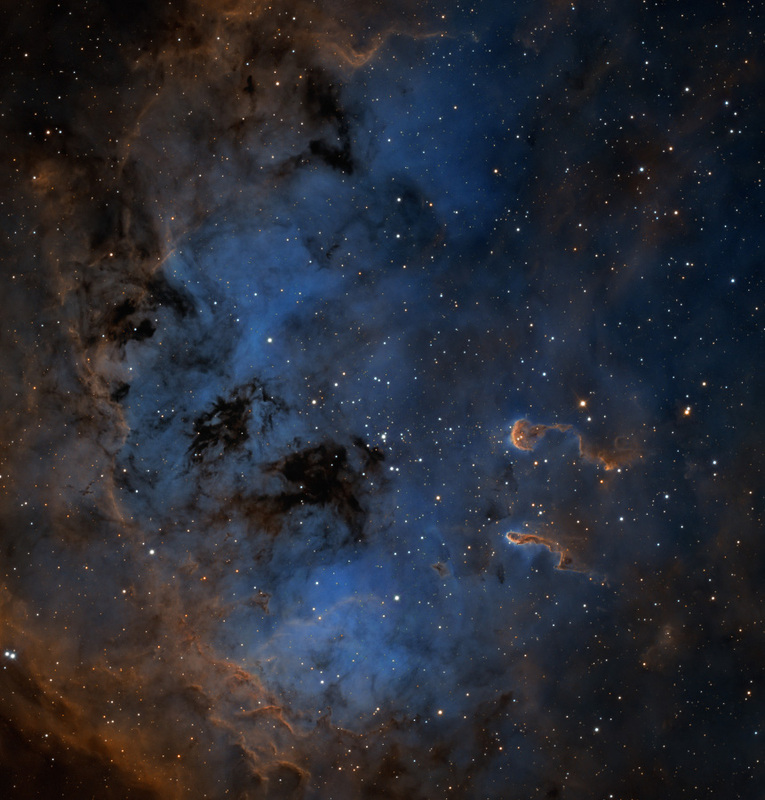 It also features two remarkable inhabitants of the cosmic pond of gas and dust below and right of centre, the tadpoles of IC 410. The picture is a composite of images taken through narrow band filters. The narrow band image data traces atoms in the nebula, with emission from sulfur atoms in red, hydrogen atoms in green, and oxygen in blue. Partly obscured by foreground dust, the nebula itself surrounds NGC 1893, a young galactic cluster of stars that energizes the glowing gas. Composed of denser cooler gas and dust the tadpoles are around 10 light-years long, potentially sites of ongoing star formation. Sculpted by wind and radiation from the cluster stars, their tails trail away from the cluster's central region. IC 410 lies some 12,000 light-years away, toward the constellation Auriga.